Our beloved mother, grandmother, sister, aunt and friend passed away Sept. 21, 2018. 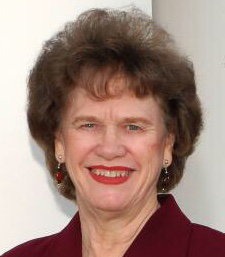 Melva was born on Sept. 9, 1932 to Charles and Retta Stock Cox. She married George Washington Spencer Feb. 14, 1958, in the St. George LDS Temple. Melva and George raised eight children and were wonderful parents and role models. They welcomed many others in their home over the years and became surrogate parents to them also. Her home was open to all, whether it was visiting, haircuts or eating homemade bread with butter and homemade jam. Melva loved children and had a daycare in her home for over 30 years. She touched the hearts of many children and their parents and was loved by all. Melva left behind a legacy of service and love. She was always serving those around her, especially her extended family. She loved to do crafts, quilt, oil paint and crochet. She loved dolls and stuffed animals. She loved the outdoors especially rocks, pinecones and fall leaves. Melva was active in The Church of Jesus Christ of Latter-day Saints and served faithfully in many callings. She and George served for 2 ½ years in the “Member Location Mission.” She loved the Savior and testified of him through her actions, words and example. Melva is survived by her children George (Daphne) Spencer, Rita (Woody) Davidson, Teresa (Jeff) Jones, Stanley (Amy) Spencer, Randall (Gina) Spencer, Cynthia (Will) Craig, Marcia Bang, and Derek (Holly) Spencer; one sister, Geneva Tanner; 34 grandchildren; and 24 great-grandchildren. She was preceded in death by her husband, George; her parents; and eight siblings. Funeral services will be held Friday, Oct. 5, at 11 a.m. at the Morningside Stake Center, 881 South River Road, St. George, Utah. Visitations will be held Thursday from 6-8 p.m. at Metcalf Mortuary, 288 W. St. George Blvd. and on Friday, prior to services, from 9:30-10:30 a.m. at the Stake Center. Interment will be in the Ivins City Cemetery, Ivins, Utah.